One of the most frequent questions successful authors face in interviews and meeting fans is “where do you get your ideas?” followed closely by pleas for tips on how to deal with the dreaded Writer’s Block. There’s a book out called Breakthrough! 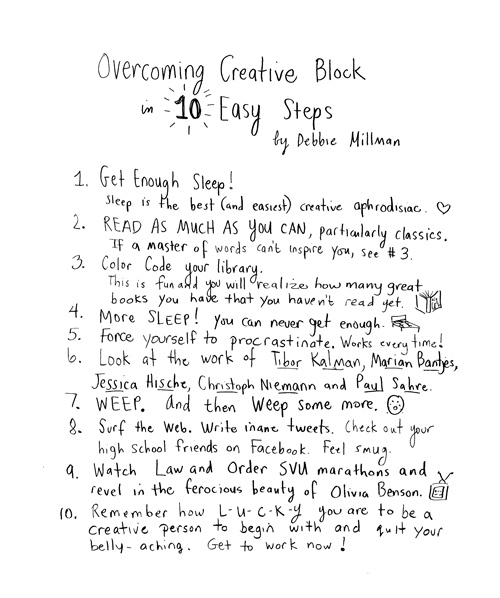 : 90 Proven Strategies to Overcome Creative Block and Spark Your Imagination, a small but potent compendium of field-tested, life-approved insight on optimizing the creative process from some of today’s most exciting artists, designers, illustrators, writers, and thinkers.